Few of the problems can be solved over the phone and its cheaper. Wouldn’t it be nice if you give us access and IT person will take care of it. You don’t have to unplug anything and no need to bring it to store. It’s now possible to get remote IT support from Trek PC for your home and business. You don’t need to have an enterprise IT budget to get enterprise level support. Our goal is to bring enterprise level support to small-mid sized businesses. 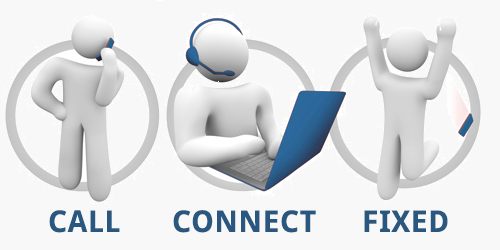 Remote support is when our IT specialists help you fix your computer in real time over a screen sharing solution that we employ. Our technicians see the same screen you do and can quickly locate the problem and help you implement a solution – all you need is an internet connection. If the issue cannot be resolved remotely, you always have the option of having one of our technicians come to your location. We are able to dispatch technicians in Vancouver within a matter of hours. We have many years experience providing businesses of all sizes with specialized IT support.We have multiple locations in the Metro Vancouver area and are able to schedule after-hours services as well.